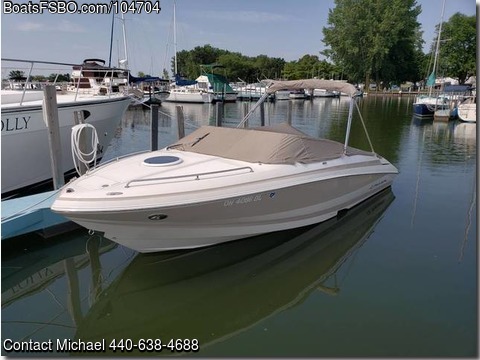 2003 Regal 22.5' Cuddy Cabin for sale. New battery this year New bottom paint this year Updated stereo with Bluetooth, speakers and receiver. Full camper enclosure Removable table and grill Removable carpet. Anchor, Dock lines, and Fenders come with boat. Also have water skis if interested.